CM Major_Rampage will the total number be going up for the tactical focus we can hold in our base going up or is staying at 5? Can you add a timer to the daily campaign(s) so that we can see when they become available again? Will there be guard fleets in replica bases for Bounty 11? Yes. Guards fleets are returning for Bounty 11 in Replica Bases. Will the dock continue to auto repair in Bounty 11? Yes. Prior to secure base, the dock would begin to auto repair after damaged or destroyed, but you would not see this until you logged in. Now the game is more aware of the state of your base, and is showing your dock repairing in real time. Neither of these changes is about putting players first. These are both very good reason for players NOT TO PARTICIPATE in Bounty 11. If the team is not aware of this from a player's point of view then the team don't really understand their own game or their players. I have $40 on the books I been playing since Auig 2011 and never in those years have I seen PvP so broken in a couple of days. All year I been saying 2018 is the worst year of Battle Pirates ever. Ill try BOUNTYY thinking this will be fixed if not that is the last money I spent, feeding, putting a roof over the heads and paying for luxurys too kixeye emplyees. I spend $350 > $750 a month on this broken game. Kixeye said you listen to players. YOU SCREWED UP MY GAME. LISTEN NOW!!!!!!!!!!!!!!!!!!!!! BUT you have a lot more people saying the exact opposite. People have tried to point out the flaws in your base, but you ignored them. PvP is not as broken as you claim it is. Bases are defendable when done right. Since the update I am 11-1 in base defense. I have driven 2 boats in my guard once. Yes they are defendable, yes they are crackable with the right fleet. OR MSCs can walk you if your base and guard is not set up right.. THAT is how the game is supposed to work. Uh will FM be up during Bounty? Im not gonna do bounty cuz LUL BASE GUARDS IN REPLICAS. Firstly watch some videos on tactics on how to best use skys in this tlc. Bounty Question: some comments have indicated bubbles during Bounty will be max 4hrs but I see nothing in the briefing or game notes to suggest this "normal PVP rules apply". can someone confirm if it's normal rules including bubble duration or is it a reduced bubble time during Bounty? You need to change the way attacking fleets can sail 'over/past' a ship defending in the channel or base. If a ship blocks you you should first have to clear that obstacle to clear the way. That way you will quickly see how out of whack pvp really is, you'll have msc's banging away at each other forever, bases would truly be uncrackable. That is why there should really be only a defender class allowed to defend, which should always be inferior to an attacking class. It should aid the base in its defensive capabilities. Only I do not see kix getting the balance right doing that, but it is a possible golden solution. used to work with the paper, scissors, rock of the different weapons/hulls without the need for different "classes" and such restrictions. They should not make ships that are impervious to all damage types. Some damage types should have other limitations, such as it used to be with mortars travelling slowly and therefore possible to avoid with a fast enough ship, rockets having short range and missiles being relatively low DPS, Torps were solely the realm of Subs or sub hunters.. and so on. But I'm sure it's all been very carefully thought out in order to maximise .... player satisfaction. Don't waste your time doing the bounty until they fix and actually test the balance to make sure it works.Right now they lowered the damage to the turrets but not the armors so your turrets don't do enough damage to scratch any fleet built right.Kix has made 90% of the players farms. The team has a released a fix for the problem with the FM. They are currently working to correct a problem with players being able to access Turrets of Terror. I am having the same issue and have to reload the game every time I try to use one of them. Its a great prize, but need to be able to use them. Okay i started turrets of terror camp with recommended Icebreakers skulled and anti sprints in mass probably over kill on the sprints but not 1 shot at the uav's from the carriers whats up with that? Yes i refreshed and retried with same result.Yet i started the Lions Mane and the Targets anti's are overkilling my Uav's 3 volleys from my completely skulled skyfires and only 1/4 damage to a single turret and NO chaining. Did i miss a forums post on chaining not allowed in camp? I also tried Turrets of Terror campaign with the recommened Icebreaker (skulled) fleet and I only managed to kill encounter 1 and do partially damage in encounter 2 before being completely wiped out. I finished the encounter with my monolith fleet seeing that somehow seems to take alot less damage then the icebreakers. So far for believing Kixeye in the recommended fleet seeing Icebreakers probably can do that campaign but with massive coining on the repairs (which is ofcourse what kixeye hopes everyone does). And about that countermeasure turret in the Lions Mane and Scorpion Sting Elite campaign, it shoots like 1250129501209152 projectiles per microsecond with a 100000000% accuracy rate. So none of your UAVs are going through. That is ofcourse due to the CM "fix" (read New Accuracy Bug they introduced) that would fix our accuracy of the players Countermeasures while buffing the enemy counter measures through the roof!! I encountered the same issue with that campaign so I aborted it because I am not going to take massive damage in encounter 1 of the 7 of Prize Pack 1 just to find out that in order to do encounter 2 till 7 you have to also take massive damage meaning you need to do massive coining seeing you only got 1 hour to complete all 7 encounters of the prize pack. As expected Kixeye screwed that one up in the hopes that people go coin massively in order to get the stuff needed for their Manticores or for the Build tokens if they are after that. its allways been like that. from what i have heard you have to get closer to the turrets or use phoenix.. Instead of doing that, why dont you play smart. start bounty, get someone to tap your base and hit the bank button. you do this every 4 hours or evey 8 hours.. you have 20k points for doing totally nothing. that is both of the new Javs..
You wont get hit, cause you aren't worth anything. Instead of a boycott, that truthfully does not work cause a lot of people like the changes so far, be smart..
LOL , no, concentrate now. 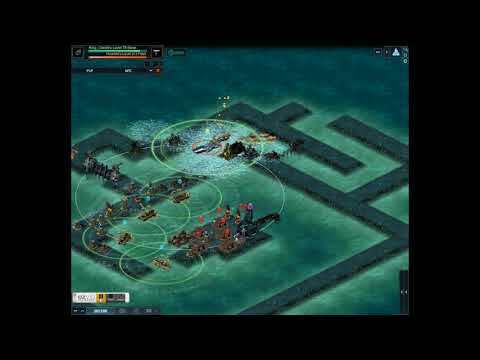 Atm someone has a msc fleet in his base as defense, someone else attacks with same fleet, just sails past the defending fleet while they do nothing to each other. Not much defense there right? When he is past the fleet that does nothing to him, it leaves the rest of the base without a defense fleet, unless of course the player is online and can drive to give chase. What I said is there should be defense fleets on their own, who together with all the turrets should be able to take on an attacking fleet. Then I said that I do not think kix can balance such a situation, they cannot even balance what exists. I am altogether against these different classes, it was the worst idea ever. MORE DRONES IN FM!!!!!!!!!!!!!!!!!! NOOOOOOOOOOOOOOOOOOOOOOOOOO!! Oh wait, I can get 2 more? That's cool. What was changed on the PACs overload since yesterday morning? The overload (if I waited and let it charge) was taking a small island in the Ordinis campaign, now it isn't charging to full capacity or something because it barely takes a wall in the same target it obliterated yesterday? Seems like the overload is basically NERFED! Looks like it is firing but rarely any major damage. Talked with other players in my sector, seeing same issue. This stinks, what'd you change!??? Typical. I should have known that the only thing in the game that has changed for the better recently (Charged armour colours that could be more easily distinguished from each other without squinting) was actually a mistake. Why the changes to the FM 111 Research Garrison target? Yes, it's still doable and any decent 2 Zelos +3 Mono or Emp fleet should still be able to complete the target without damage. However, it's going to take a bit longer. I'd like the hear the reasons. GREAT!! Bounty has started, and game already crashed on me, what did you guys do?